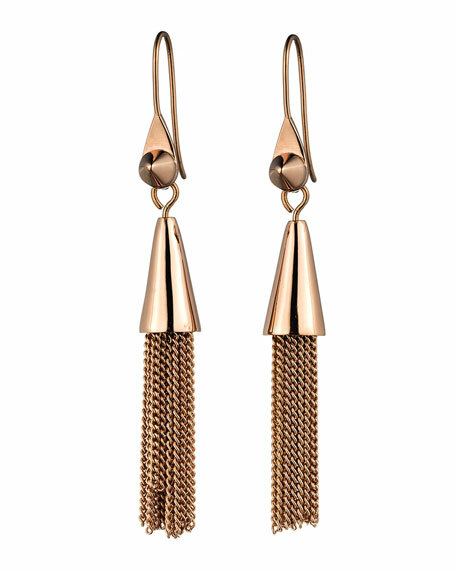 Drop earrings by Eddie Borgo. Chain tassel drops with cone cap. For in-store inquiries, use sku #221245. Lala drop earrings from Auden. Polished yellow golden plating. Swarovski crystal pearl posts. 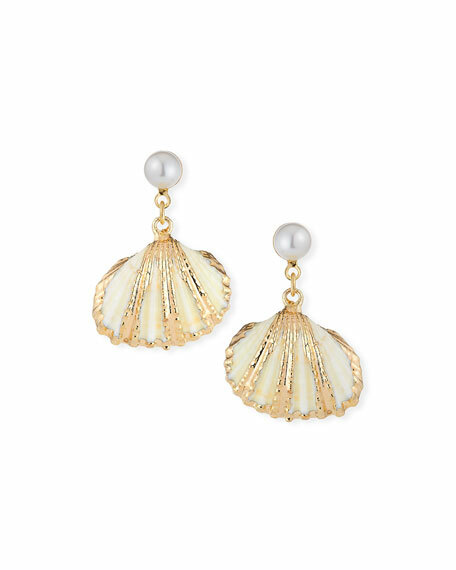 Natural shells with golden trim. Post backs for pierced ears. Approx. 1"L x 1"W. Made in USA. Allanah triple drop earrings by Jennifer Behr. Golden plated brass with antique finish. Prong-set faceted Swarovski crystals. Oval, emerald and pear-cut crystal drops. Post backs for pierced ears. Made in USA.